The Panasonic Real Pro Ultra Prestige Massage Chair combines Thermal Massage Technology with Professional Massage and Stretching Techniques to simulate the restorative hands of a professional masseuse at home. 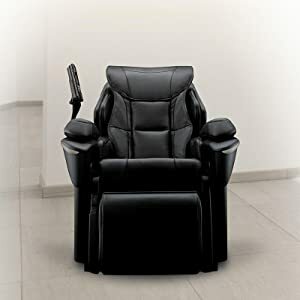 Upholstered in supple, high-quality black synthetic leather, this exceedingly comfortable massage lounger is meticulously built to replicate the skill, experience and invigorating massage therapy techniques of a masseuse and the restorative sensation of hot-stone therapy. From neck, back and shoulders to hands, calves and feet, double-heated, multi-directional massage rollers operate interactively to stretch, soothe and relax tense, tired muscles and help increase blood flow with an extended range of massaging motion. 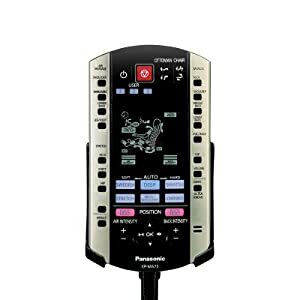 To help promote good health through muscle relaxation and increased blood flow throughout the body, the Panasonic massage chair uses a high-performance motor that directs soothing rollers up and down, left to right and front to back. Massage rollers mimic soothing Junetsu massage techniques with ultra-fine, thumb-like circular kneading motion to quickly loosen tight muscles and invigorate tired muscles. Upper Back High Speed Kneading. 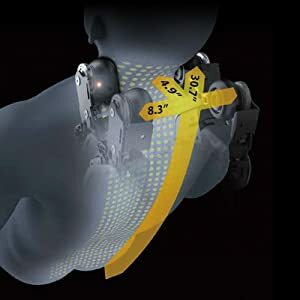 Target the acupoints in the back and neck to help promote invigorating energy. Innovative, built-in thermal massage rollers create soothing warmth to relax sore, tense muscles head to toe. 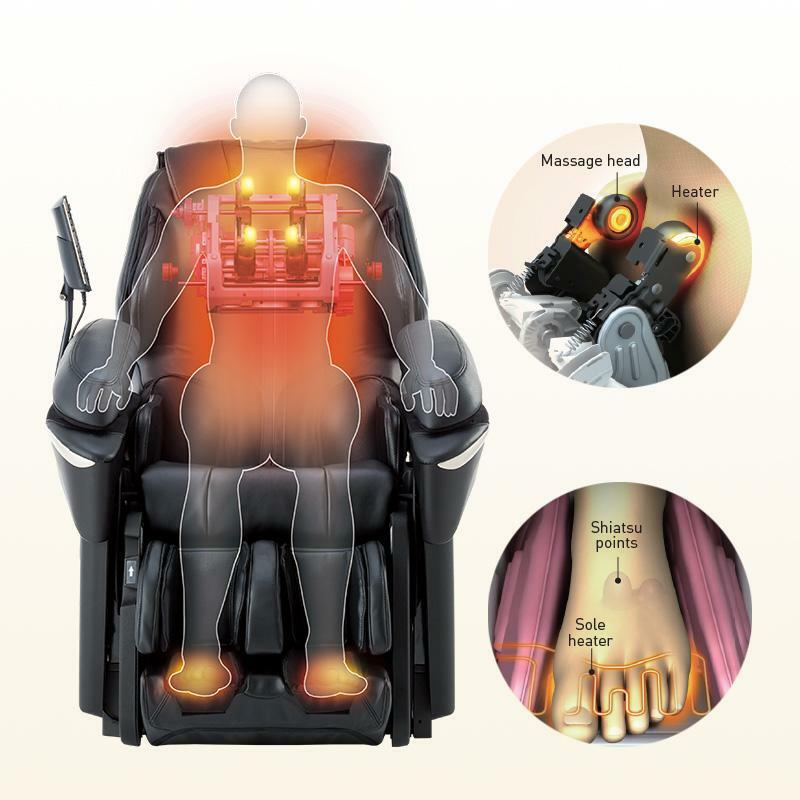 A new Shiatsu Heated Foot Massage feature helps alleviate stiffness in aching feet with the combination of heat and soothing pressure. 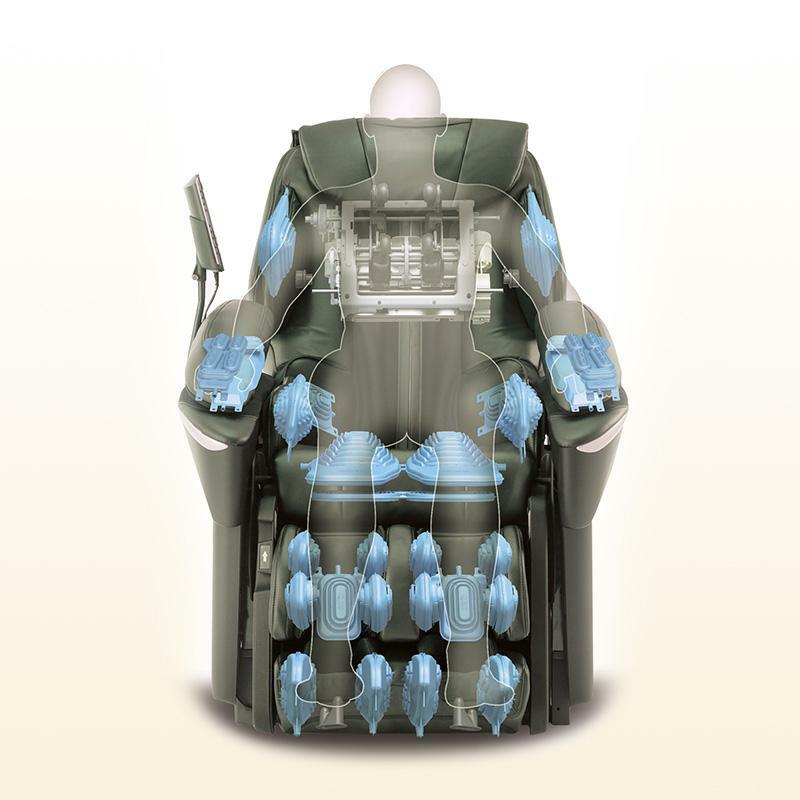 Individual air cells within the chair stretch deep into muscle tissue to help improve flexibility and circulation, while releasing tension in the shoulders, arms, palms, hips, thighs, glutes, legs, calves and feet. 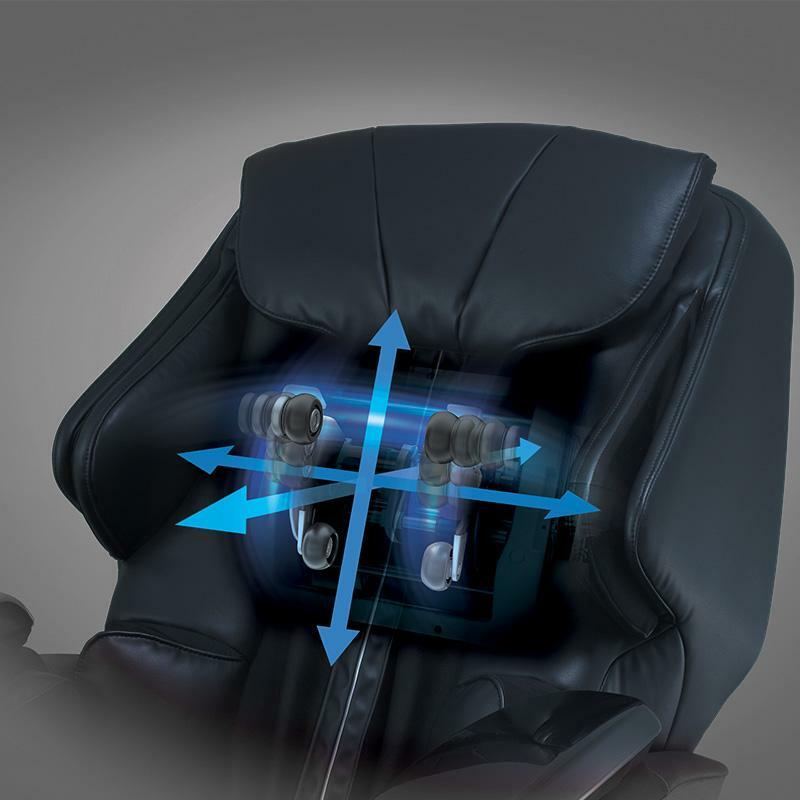 With the advantage of Panasonic’s body scan technology, this advanced luxury massage chair uses pressure sensors to scan and create a virtual map of the back. 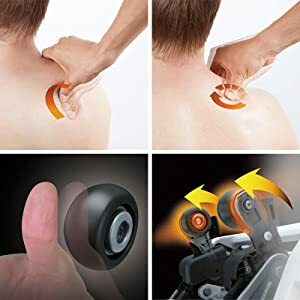 This enables massage rollers to move precisely along the back for a personalized massage tailored to the unique curves of your spine. 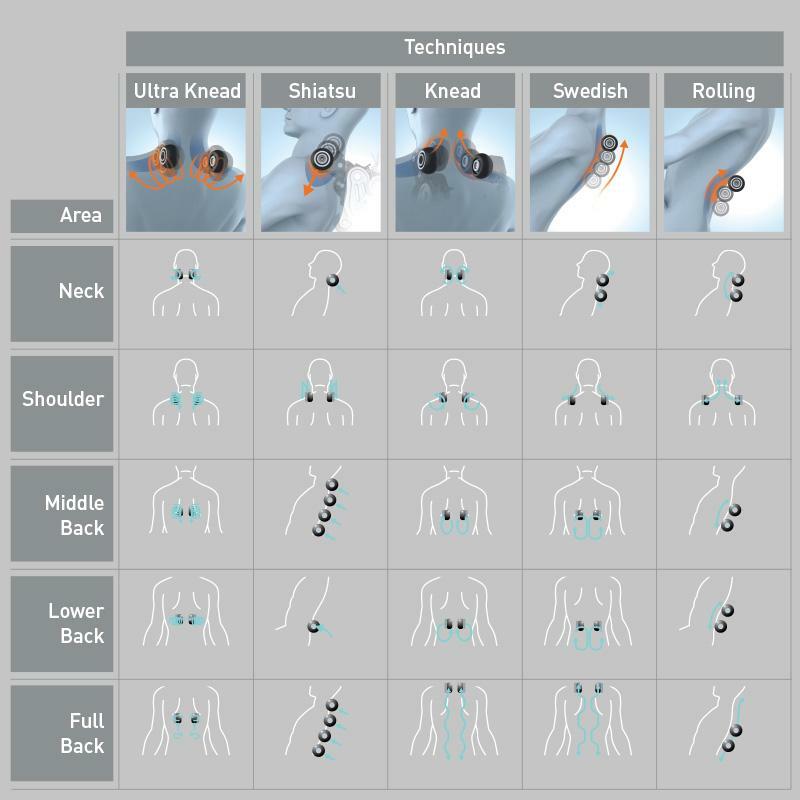 Your choice of convenient, relaxing massage techniques include six pre-set programs each designed to target individual treatment needs. Choose from programs for neck, shoulders and lower back, or programs for the full back including Shiatsu, deep, Swedish and stretch. 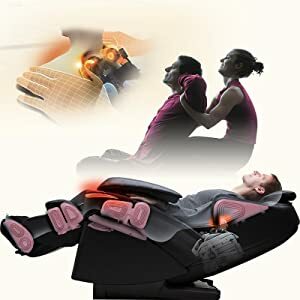 You can also manually select a technique, a combination of techniques and a specific area of the body to enjoy the massage that fits your needs or mood. Select from massage techniques that include ultra knead, Shiatsu, knead, Swedish or rolling. And from targeted body areas like the neck, shoulder, middle back, lower back or full back to fully customize your massage with up to 110 different combinations of body areas and techniques. A tethered remote control maximizes massage convenience with one-touch buttons for automatic massage programs and intensities, combine and program manual programs and control all other massage chair functions. When not in use, the luxurious MA73 quickly converts into a stylish, high-comfort armchair. And, the reversible ottoman lets you sit back with your feet comfortably up. Built in-rear wheels make it easy to position the chair in any room or area, as well as clean around and beneath.